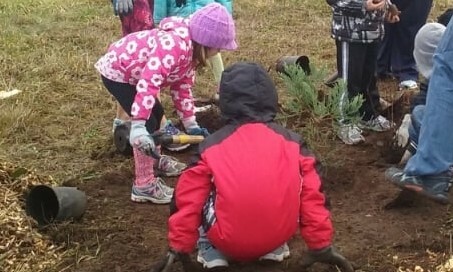 Little Hands Can- Events - Community Event: Plant Bulbs at the City Park! Join us January 4th to help plant bulbs at Skinner Butte Park. We will meet at the Lamb Cottage at Skinner Butte Park (it’s just east of the whale that many of you helped paint last summer). It will be fun to plant the bulbs and then your family can come back to the park later and see the flowers that will bloom from your hard work. I, the undersigned and/or parent/guardian of the individual(s) indicated above, do hereby agree to indemnify and hold harmless Little Hands Can and its agent from and against any and all liability resulting from participation in the events listed above. I understand that the event(s) in which I and my child(ren) are enrolling, like all activity programs, has some inherent risk, for which I agree to assume the liability. Furthermore, the individuals indicated herein are in good health appropriate for the activities in which they will be participating. Photo Release For Little Hands Can promotion purposes, photographs may be taken of participants. No names or any other identifying information will be shared if the photograph is used, unless requested. I hereby grant Little Hands Can permission to use my and my child(ren)'s likeness in a photograph, video, or other digital media (“photo”) in any and all of its publications, including web-based social media accounts, without payment or other consideration. If you do not wish to have your photo taken, please notify the photographer or LHC Representative at the event. Consent: I allow LHC to store my name and email to contact me regarding details for the event.